One week to Easter! Have you gotten started on those Easter crafts yet? Here are 5 great crafts even the littlest ones can do. Let me know which one is your favorite! 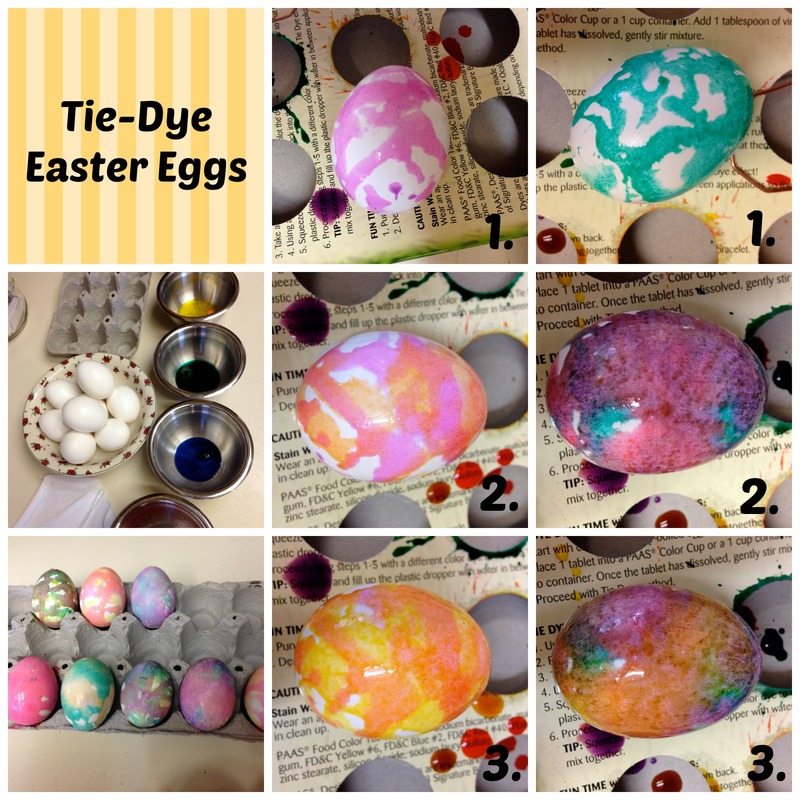 #1: Tie Dye Your Eggs! All you need is food coloring, or the little tablets you can buy at any store right now and vinegar. Mix each color with a tablespoon of vinegar and go to work! Sprinkle up to 3 colors over each dry and hard-boiled egg. I used a syringe to squirt the colors onto the eggs, then let them settle. Quickly rinse with water. You’ve got art!